American Motivational Speaker John Mulaney's Married Relationship with Wife Annamarie Tendler-Details Here!! Home Article American Motivational Speaker John Mulaney's Married Relationship with Wife Annamarie Tendler-Details Here!! 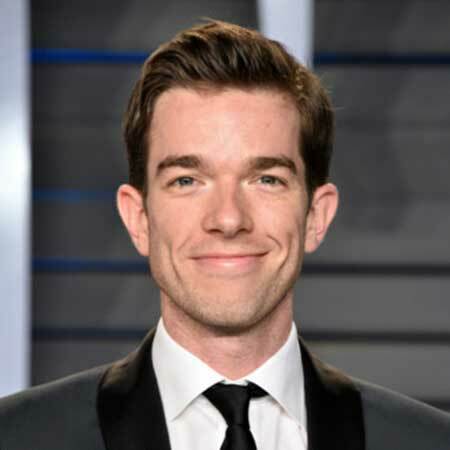 American stand-up comedian John Edmund Mulaney is equally famous as an actor, producer, and writer. He frequently jokes about his wife and marriage in 'The Comeback Kid'. Being respectful and funny in all sense makes him different from other comic stars. He is living a happy married life with his wife Annamarie Tendler; the owner of Silk Parlor. Get more details about his professional career and family life here. Comedian John Mulaney has nothing to hide from his fans! Mulaney has an attractive personality and he is equally famous as a writer, actor, and producer. But how many of you know how cool is his wife? 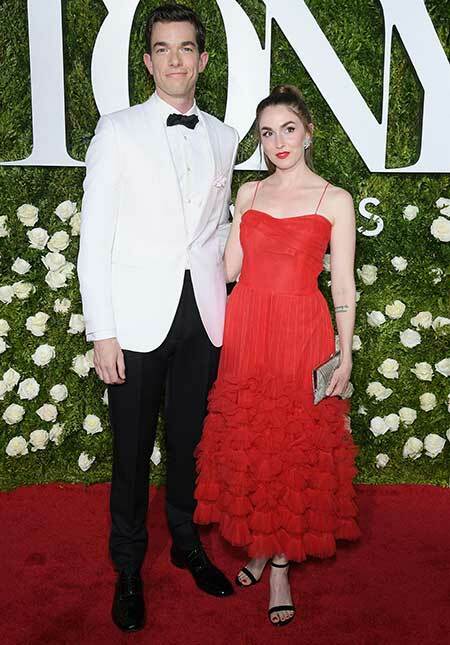 Mulaney and Annamarie Tendler tied the knot in 2014. The pair is currently living in New York City with an adorable French bulldog named Petunia. The lovely couple doesn't miss a single chance to share amazing moments of their life on social media. They celebrated the fourth marriage anniversary on 5th July 2018 sharing an amazing moment of two getting married. Happy 4th Anniversary @johnmulaney. They don’t love you like I love you. Tendler is a renowned makeup artist and the owner of beautiful handmade creations for her Victorian lampshade company named 'Silk Parlor'. She has written a book called 'The Daily Face'; the collection of tutorials on how to apply makeup. Mulaney also manages to joke about his wife and marriage in a ridiculously adorable manner which actually the showcase the beautiful relationship that they share. Here, the star celebrated his 36th birthday with his family in August 2018. He seemed so surprised to see his birthday cake. As he's living a blessed life with his wife, we are waiting to see the couple with some good news in days to come. Mulaney started his career as an office assistant at Comedy Central in 2004. Following his journey at Saturday Night Live, he started writing for other TV shows like Documentary Now!, "Oh, Hello On Broadway", Maya & Marty and the Comedy Central Roast. He grabbed a Primetime Emmy Awards for Outstanding Original Music and Lyrics at the 63rd Primetime Emmy Awards with Seth Meyers, Justin Timberlake, and Katreese Barnes. His third stand-up comedy 'The Comeback Kid' was released on 13 November 2015 on Netflix. He received wide popularity for The Comeback Kid. John started his stand-up comedy tour, Kid Gorgeous in May 2017 that concluded in April 2018. He is the star and creator of the Fox sitcom Mulaney, a semi-autobiographical series about his fictional life. He is also known for playing the character called George St. Geegland in a comedic duo with Nick Kroll in Oh, Hello on Broadway. Born on 26 August 1982 in Chicago, Illinois to the family of Ellen (née Stanton) and Charles W. "Chip" Mulaney, Jr. He studied at St. Clement School. He completed his graduation from St. Ignatius College Prep in 2000. He studied Religion and English Literature from Georgetown University. He is renowned for his work as a writer on Saturday Night Live. In 2018, he won Primetime Emmy Award for Outstanding Writing for a Variety Special. He has an estimated net worth of about $3 million.